If you or your organization is conducting a Pan Asian Canadian related performance, exhibition, workshop, lecture, seminar, discussion, forum, etc. during the month of May 2010, we can list your event in our online festival calender to give your event additional exposure. 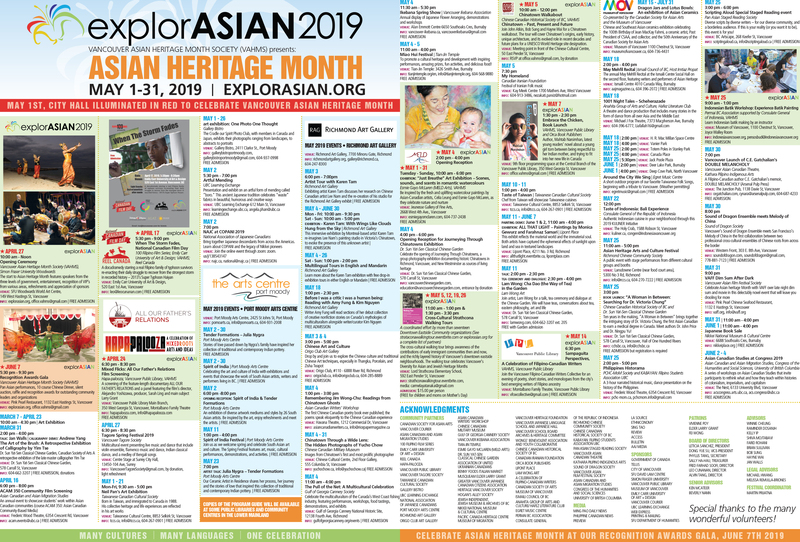 All we ask in return is that you place our “explorASIAN” web banner on your website with a link back to http://www.explorasian.org to help promote our community festival. Due to space limitations, we reserve the right to edit your submission without additional notice to you. As this is a free service, we reserve the right to refuse any listing which does not meet our festival programming guidelines. A paid web advertisment option is available.